The capability to service on orbit satellites is a major thrust of development by numerous firms and agencies throughout the industry. 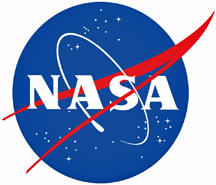 NASA's Restore-L Project, managed within the agency’s Satellite Servicing Projects Division at the Goddard Space Flight Center in Greenbelt, Maryland, for NASA’s Space Technology Mission Directorate, is one of these important projects. A contract has now been awarded by NASA for the Restore-L Spacecraft Bus and Support Services to Space Systems Loral (SSL) of Palo Alto, California. Restore-L is a robotic spacecraft equipped with the tools, technologies and techniques needed to service satellites currently in orbit. Chart is courtesy of NASA. The contract has a firm-fixed-price and includes a three-year core period and a two-year indefinite-delivery/indefinite-quantity portion. The total maximum value of the contract is $127 million. Space Systems/Loral will provide spacecraft bus, critical hardware and services for the development, deployment and operations of the Restore-L mission. They also will provide related services to accomplish mission integration, test, launch and operations. The Satellite Servicing Projects Division at Goddard was established in 2009 to continue NASA’s 40-year legacy of satellite servicing and repair. 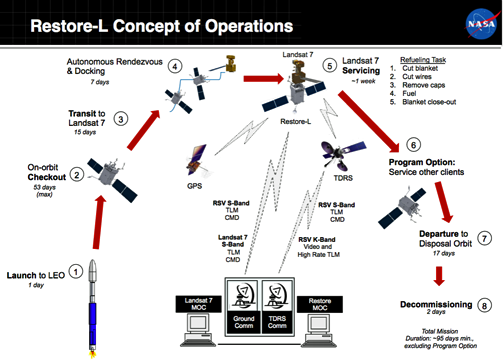 Restore-L is a free-flying mission projected to launch in 2020 to perform in-orbit satellite servicing on an operational government asset in LEO.